Learn how to create forums and topics, and see how discussions actually occur within a forum. In this class, you will learn the basics of creating forums for your phpBB community. For example, you will learn to create a brand new forum as well as change forum level permissions to control who can view them. Discussions cannot occur without users. After setting up your first forums and topics, your next step is to learn about user registration in phpBB. 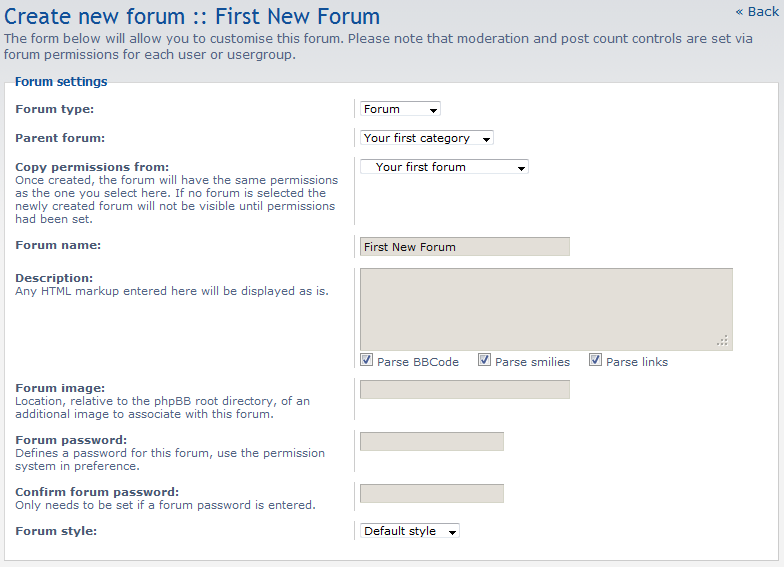 This phpBB 3.0 article instructs you on how to create a new forum for your site. This phpBB 3.0 article will guide you in setting up a new parent category.